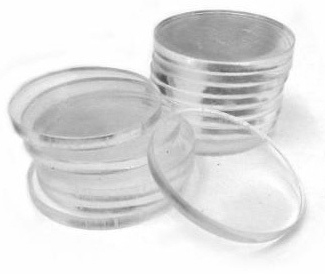 These Clear Acrylic Poker Chip Spacers are used on every gaming table in every casino across the country. The chip spacers are used in the table tray to space the chips in even lots. This assists the dealer in making change and counting the bank. Each time a new dealer enters the table they have to count the chips in the bank. Ironically they don't count the chips, they count the spacers. It is an efficient way to keep track of the chips on your table! These chips measure 1 1/4 inches in diameter by 1/8 inch thick.